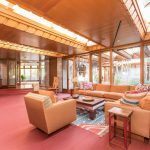 Also known as the Rayward-Shepherd House or the John L. Rayward House, Tirranna means “running waters” in Australian aborigines. 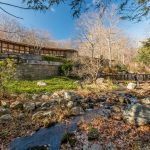 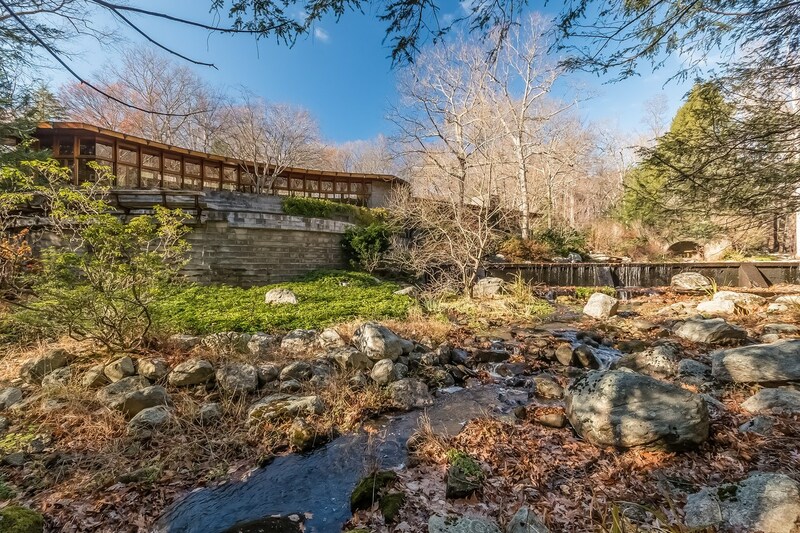 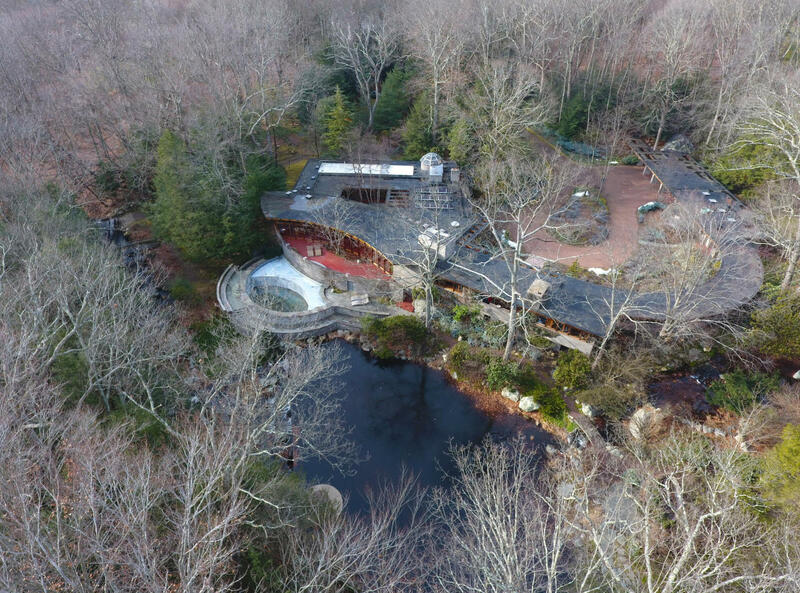 The moniker references the way the home conforms to the adjacent curving pond and how its views and planes take advantage of the nearby Noroton River and a waterfall (similar to the nature of Fallingwater). 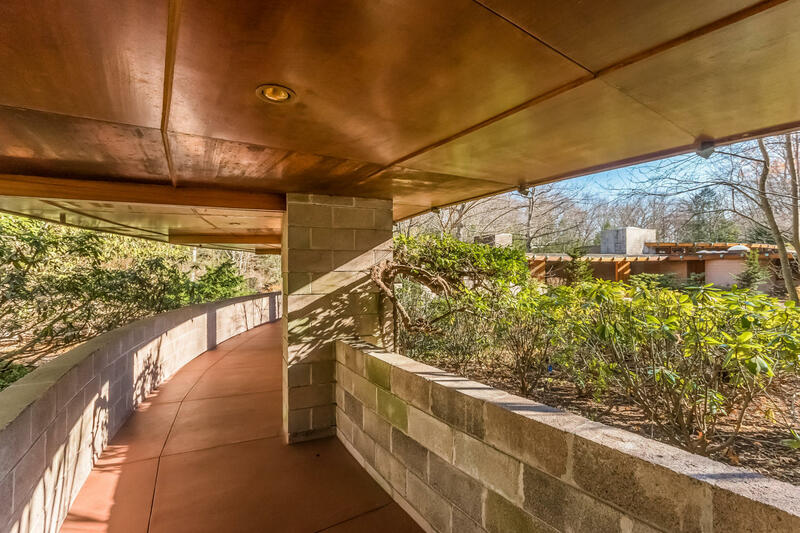 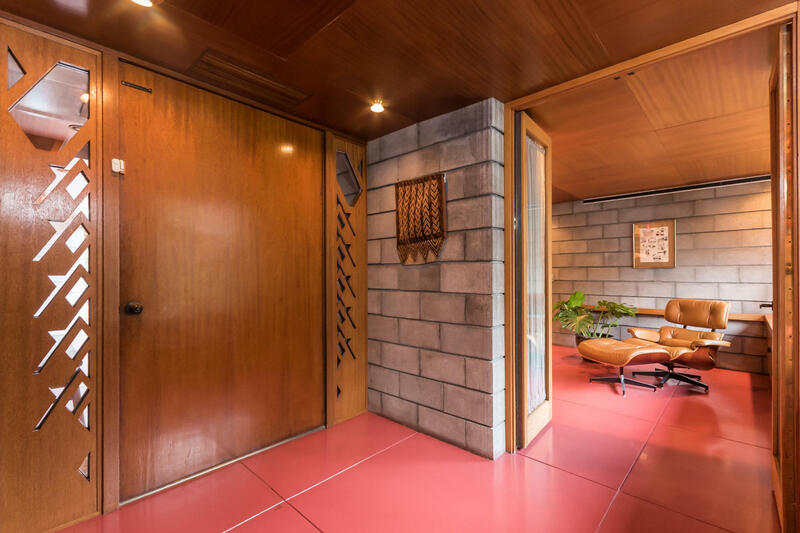 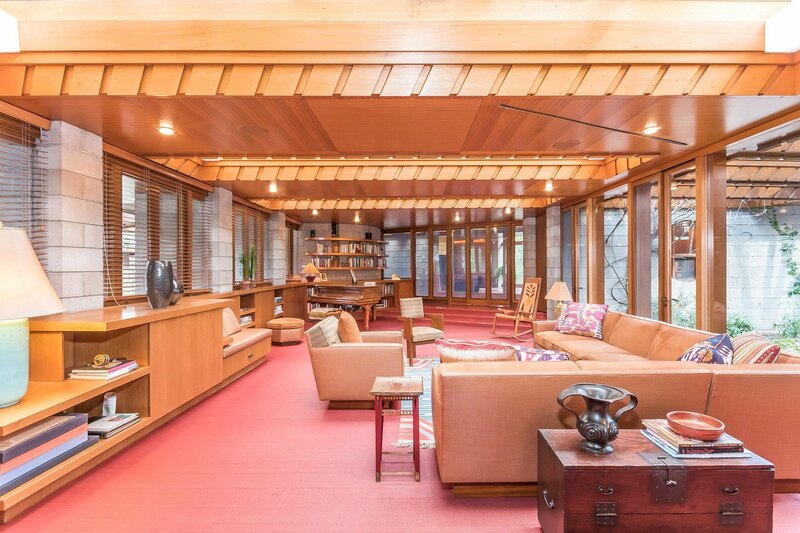 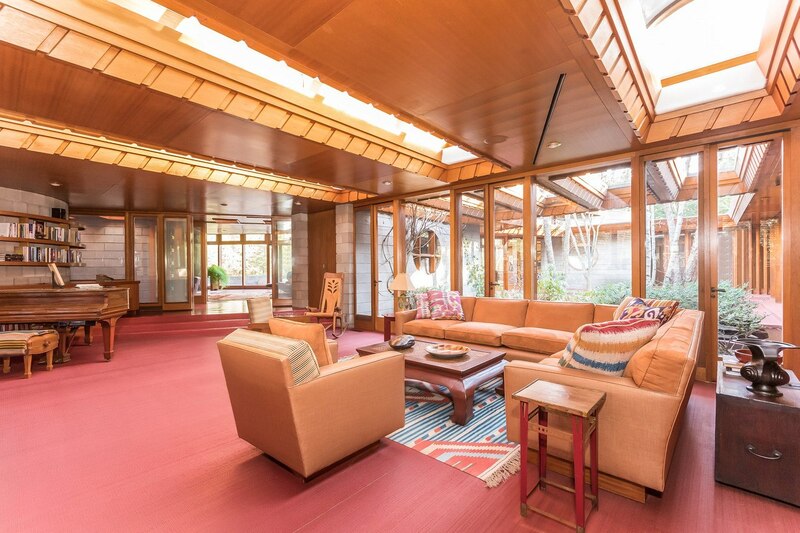 It was built of concrete-block and glass, trimmed with mahogany, and completed in 1955. 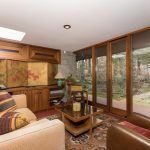 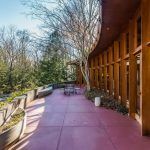 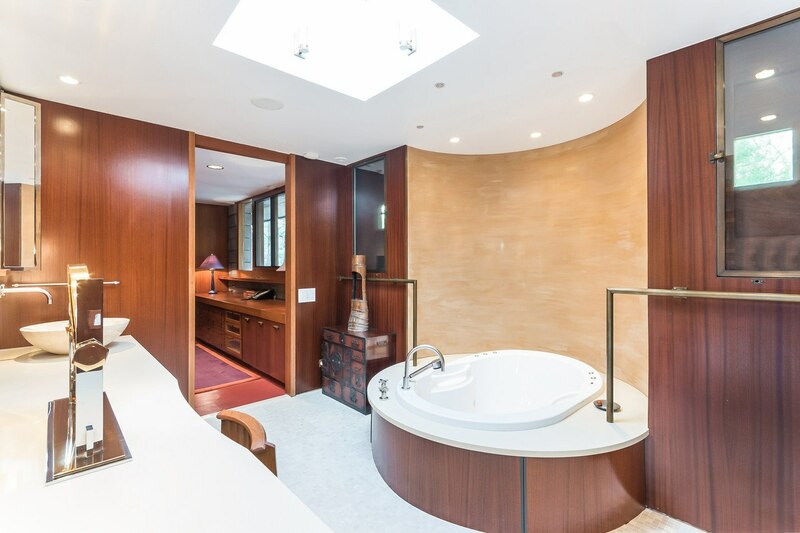 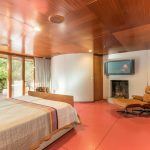 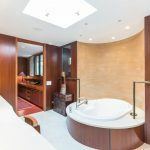 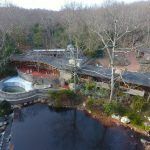 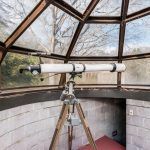 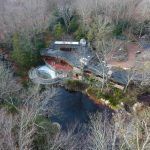 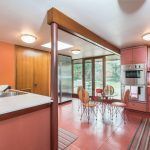 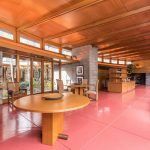 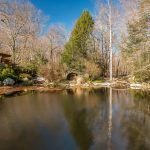 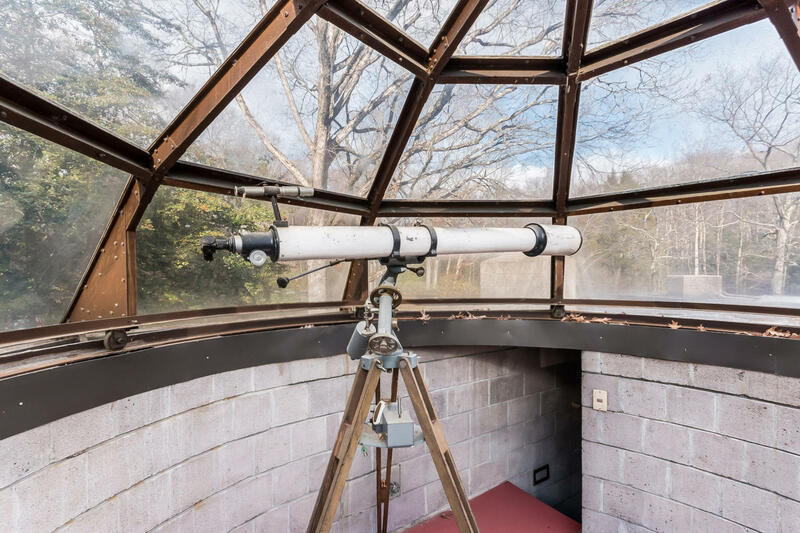 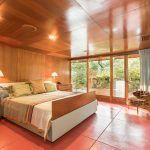 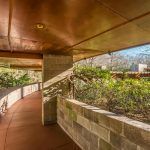 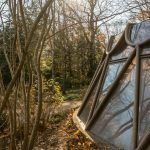 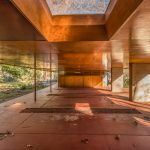 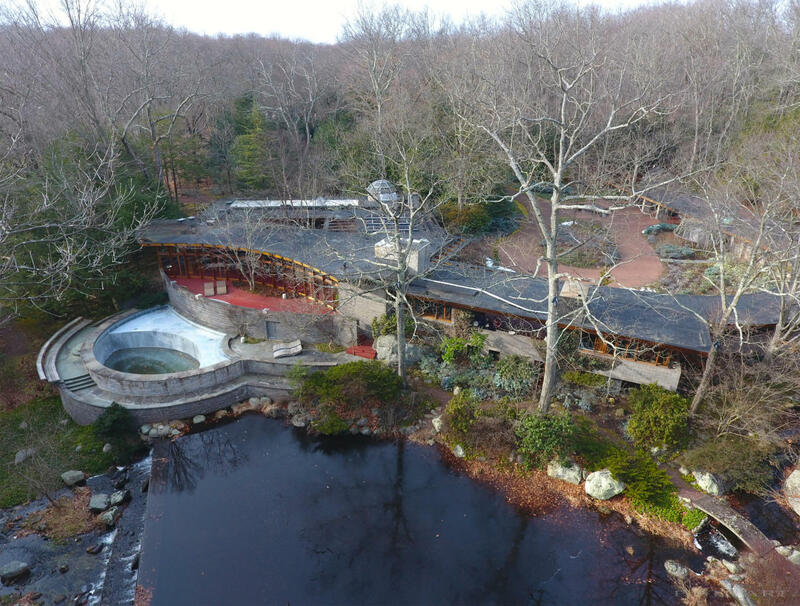 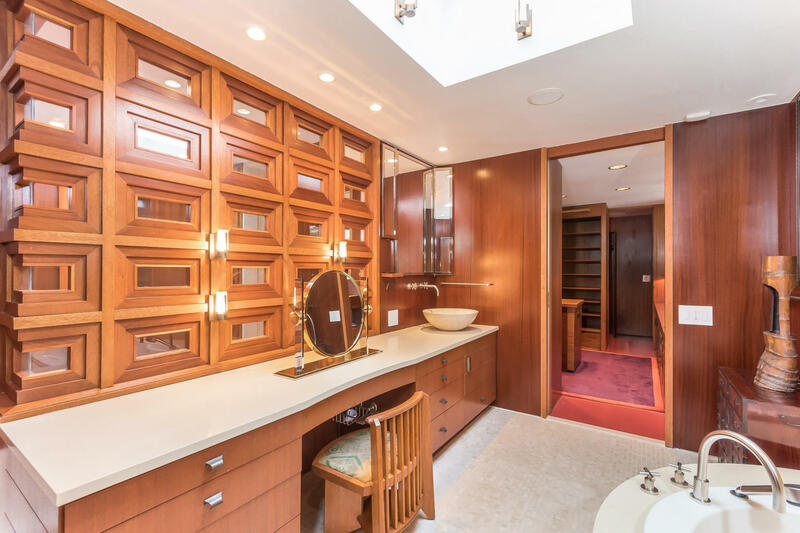 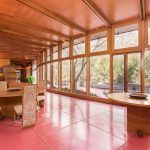 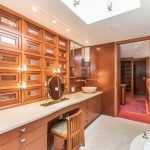 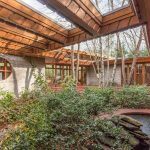 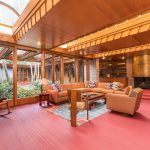 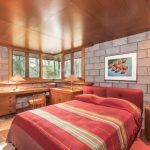 A few years later, original owners Joyce and John Rayward added an extension to the home, which included a rotating glass observatory above the master bedroom’s dressing area, as well as an outdoor playhouse that mimics the geometry of the main house. 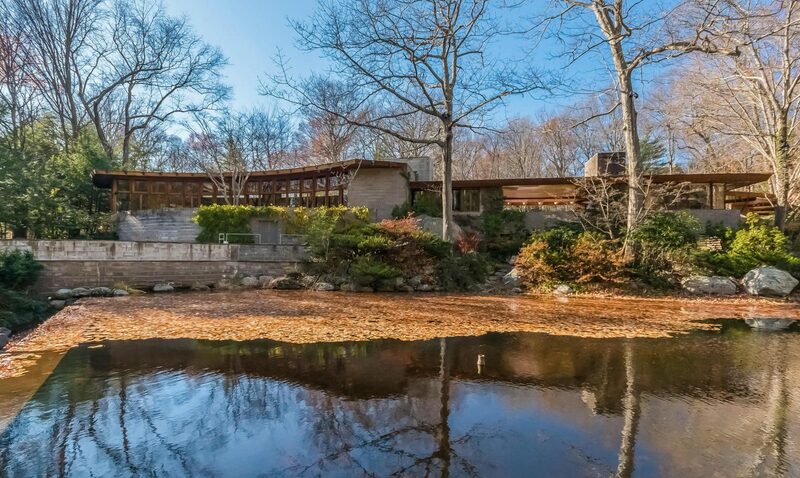 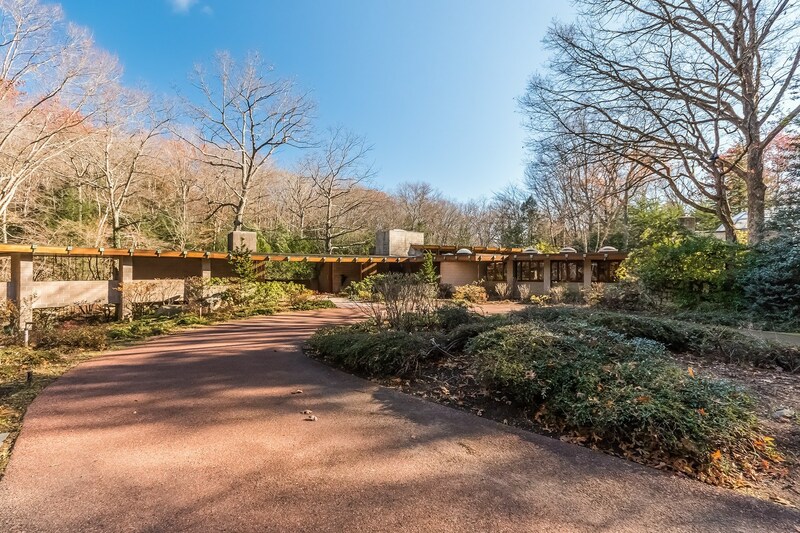 Wright died in 1959, and the home’s second owner, Herman R. Shepherd, ultimately completed the construction. 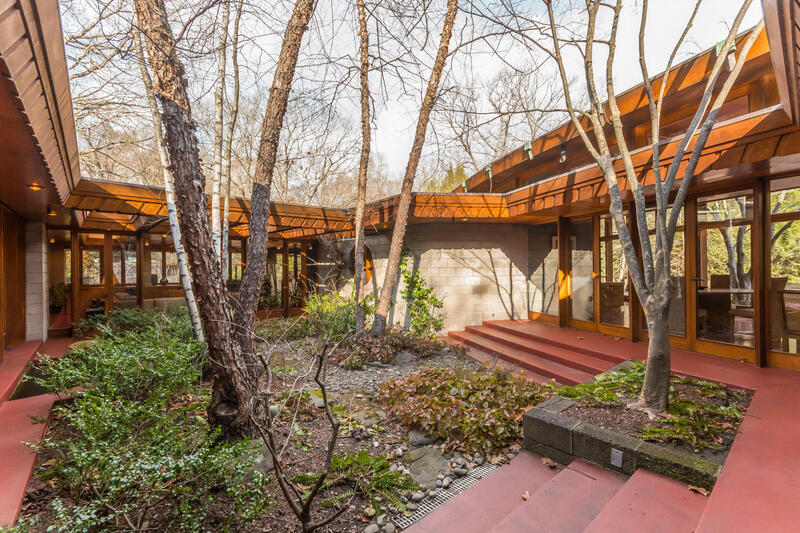 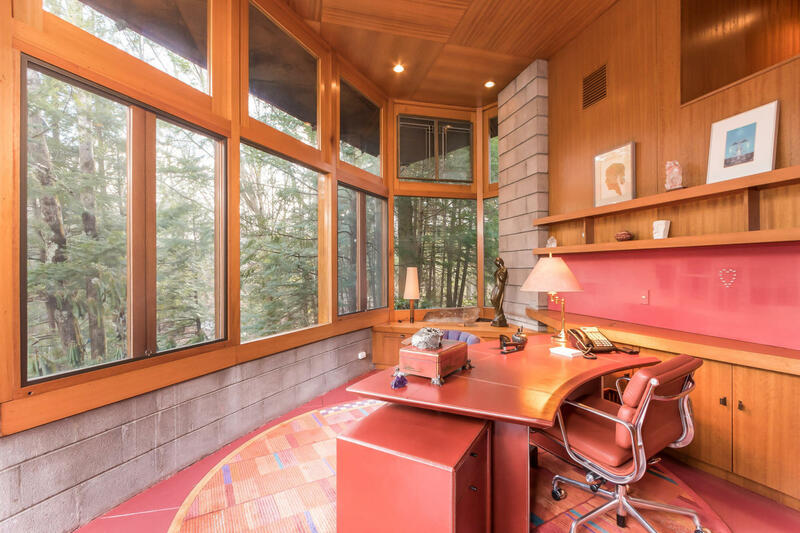 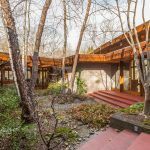 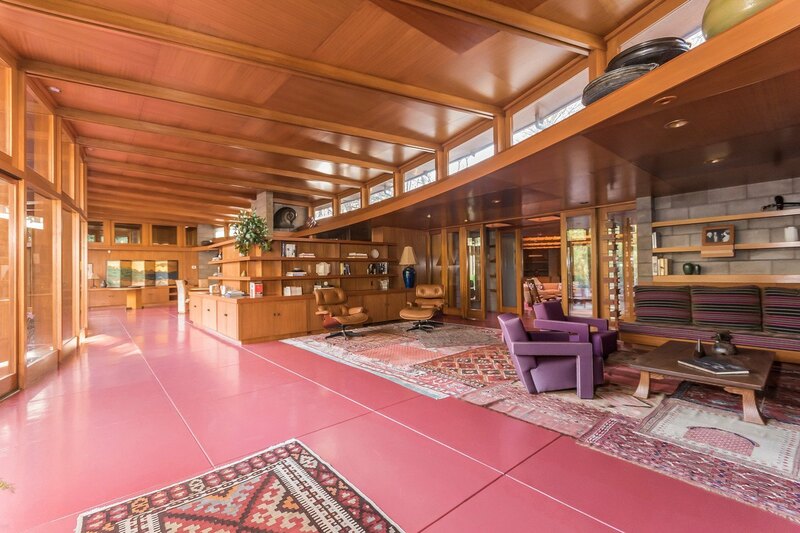 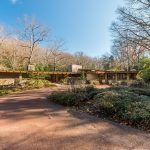 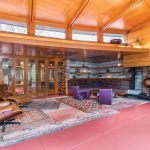 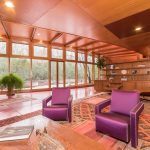 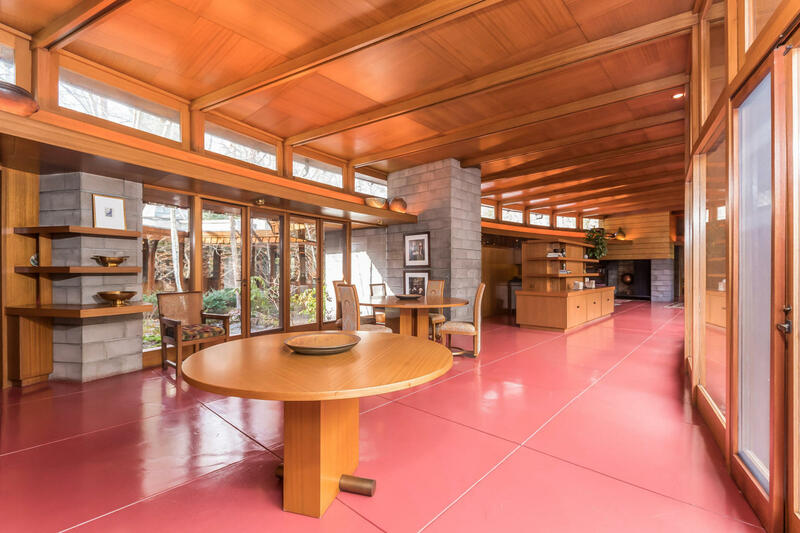 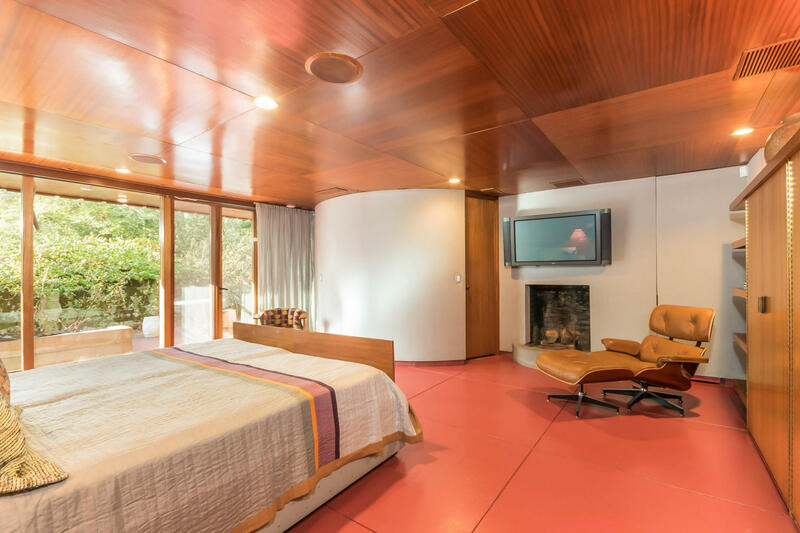 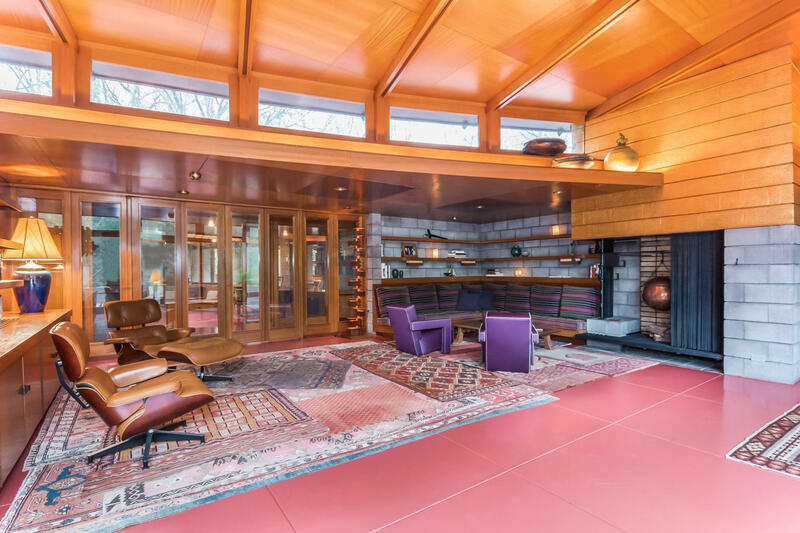 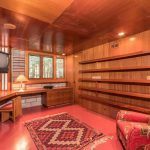 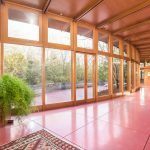 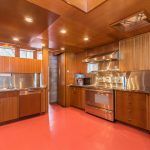 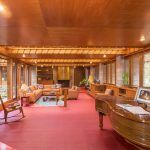 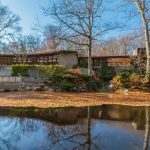 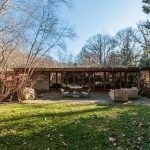 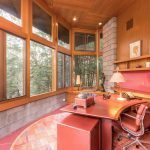 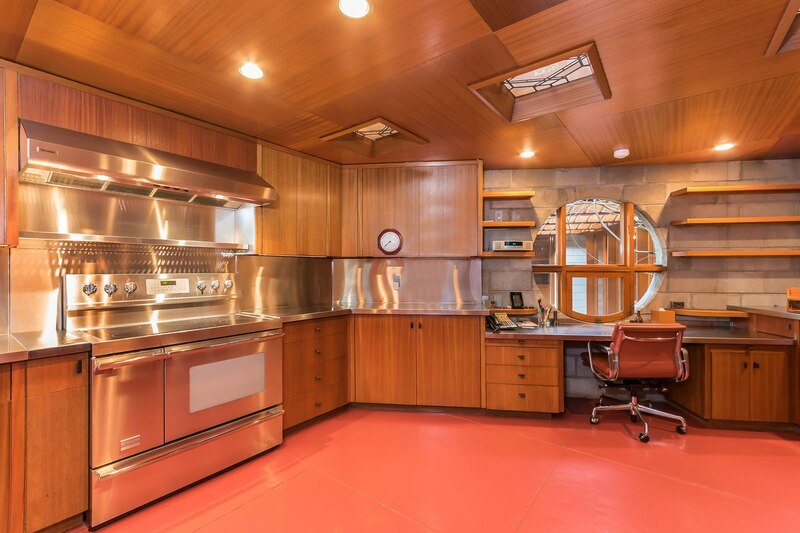 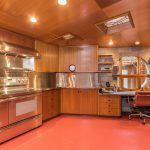 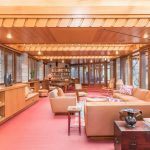 The home spans 7,000 square feet and retains Wright’s Cherokee red floors. 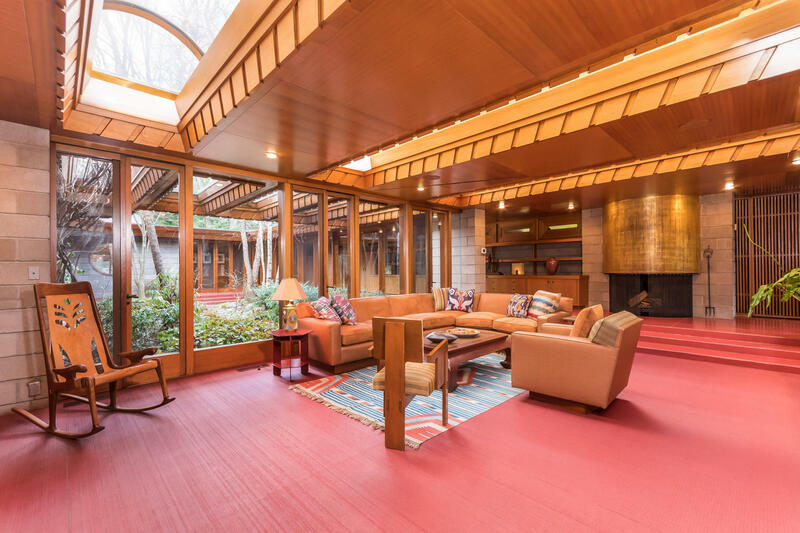 When the Stanleys bought the home, many of the original furnishings (Wright was known for micro-managing his projects and outfitting them with furniture) had been sold, however Ted had reproductions made according to his son Jonathan. 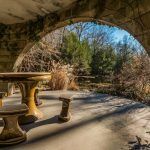 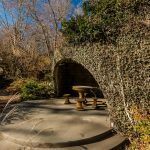 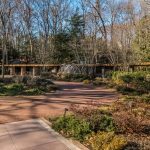 The living and dining area overlooks the oval-shaped terrace and pool, which then steps down to a series of gardens designed by Frank Okamura, who was also the landscape architect for the Brooklyn Botanic Garden. 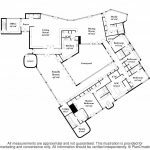 In total, there are seven bedrooms, located in a separate wing across an open courtyard from the living area. 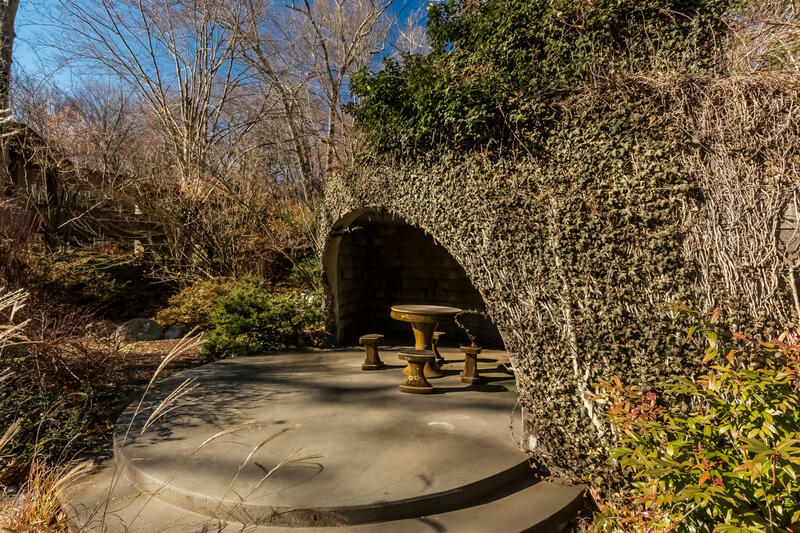 The master has direct access to the patio, a huge dressing area, and a fireplace. 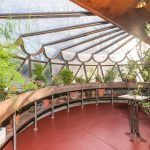 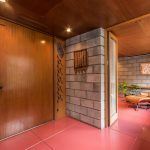 A one-bedroom guest suite on the property is accessed via a covered walkway, which also leads to a garage and staff quarters with an attached greenhouse. 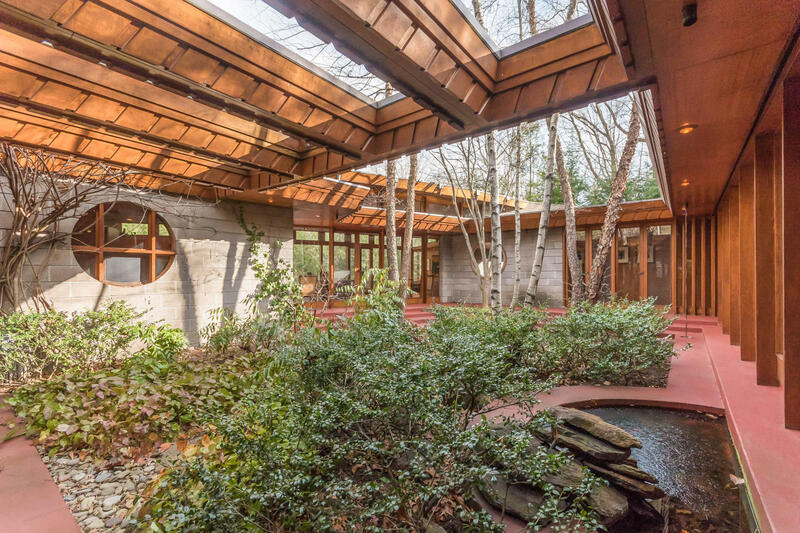 Also outside is a tennis court, large barn, and sculpture paths that wind through the woods down to the river. 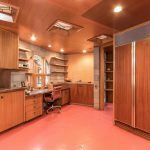 Ted Stanley co-founded the Danbury Mint, a division of MBI Inc. that markets rare collectibles such as commemorative coins, jewelry, and sports memorabilia. 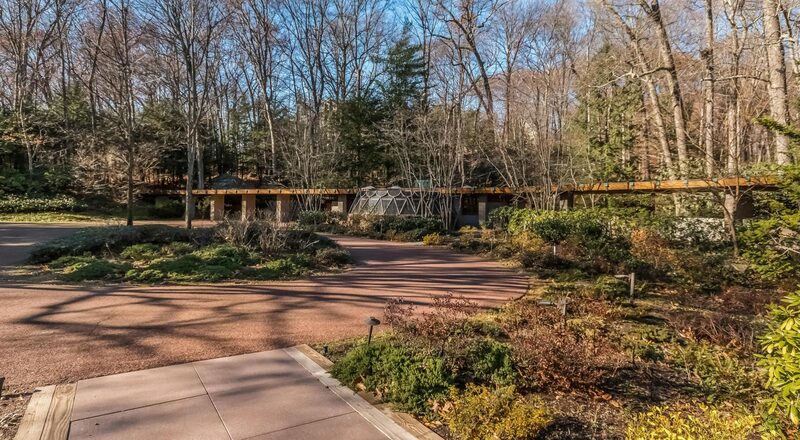 At one time, his net worth was estimated to be $1.3 billion, and shortly before his death in 2013, he donated $650 million for the Stanley Center for Psychiatric Research at the Broad Institute, one of the largest private donations ever made towards scientific research. 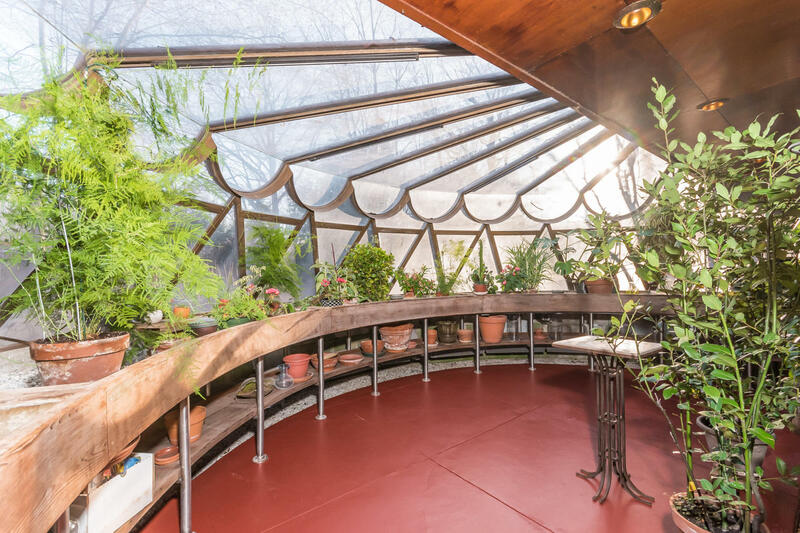 Proceeds from the sale of Tirranna will also be donated to charity.